Cinema Studies Majors: Visit the course list page for the complete list of courses and how they satisfy the major. People respond to movies in different ways, and there are many reasons for this. We have all stood in the lobby of a theater and heard conflicting opinions from people who have just seen the same film. Some loved it, some hated it, some found it just OK. Perhaps we've thought, "What do they know? Maybe they just don't get it." Disagreements and controversies, however, can reveal a great deal about the assumptions underlying these various responses. If we explore these assumptions, we can ask questions about how sound they are. Questioning our own assumptions, and those of others, is a good way to start thinking about movies. In this course, we will see that there are many productive ways of thinking about movies and many approaches we can use to analyze them. These approaches include the study of narrative structure, cinematic form, authorship, genre, stars, reception and categories of social identity. Overall, the goal of this course is to introduce you to the basic skills necessary for a critical knowledge of the movies as art and culture. This course will satisfy the Arts and Letters group requirement because it introduces students to modes of inquiry that have defined the discipline of film studies. These include such diverse approaches as studying narrative structure, authorship, genre, and reception. By requiring students to analyze and interpret examples of film and media using these approaches, the course will promote open inquiry into cinematic texts and contexts from a variety of perspectives. Previously taught as ENG 110; not repeatable. With the rise of viewing practices like “binge-watching,” the increased respectability of “quality” television, new content producers like Netflix and Amazon, and technology that allows you to watch your favorite programs on anything from a 5-inch smart phone to a 50-in HDTV, how we watch television is rapidly changing. It’s easy to get swept up in these changes, but one thing will always remain the same: the need for media literate viewers who can talk, think, and write intelligently about what they see on-screen. This course will teach you how to be a critical and informed television viewer, even as the very concept of television is being redefined. In doing so, you will deepen your understanding of specific television texts by using formal and ideological analysis and you will learn to situate those texts within different contexts of history, industry, technology, and reception. In "Remix Cultures," students learn the historical, practical, and critical views of "intellectual property" (IP) by analyzing everything from the UO mascot to Jay-Z. The course highlights how “ideas” are part of a remix continuum: new ideas often remix the great ideas that preceded them and will themselves be remixed in the future. Students will deconstruct the relationship between politics and economics and interrogate the everyday ways that their lives are governed by (and often break) IP laws. As a group-satisfying Arts and Letters course, Remix Cultures provides students with a broad yet fundamental knowledge of how "IP" and "innovation" impact their lives: students of all majors engage with intellectual properties daily and may seek professions in fields that valorize intellectual property. By asking all students to actively and critically engage consumer media culture as intellectual property, the course provides a better understanding of how collaborative efforts are governed by laws that typically value and reward a singular author/genius. CINE 267 is the third in a three-part chronological survey of the evolution of cinema as an institution and as an art form from its origin, covers the time period from the "end" of the studio system in the 1960s to the present day. It may be taken individually or as part of a series (with CINE 265 and 266) designed to provide a broad introduction to interpretive, theoretical, and institutional issues central to the study of film and media. The aim of the course is to develop interpretive and critical skills relevant to the study of film by examining the history of both Hollywood and world cinema. Like the other two courses in the series, CINE 267 enables students to engage with major issues within the field, including star studies, the film industry, and censorship and satisfies the university's Group Requirement in the Arts and Letters category. The courses in motion picture history, CINE 265, 266, and 267, may be taken individually or as parts of an integrated series. Previously taught as ENG 267; not repeatable. This course probes the evolution of film and media arts festivals and their efforts to create a more active and participatory public sphere for the appreciation and discussion of media. Festivals will also be explored as centers of innovation for the entertainment and arts industries. The course surveys the histories of film festivals in relation to their forms, functions, operations, marketing, curatorial missions, and social impacts. The course "Contemporary Korean Film" is interdisciplinary in nature as it aims to help students acquire vocabularies to address and inquire into some of the key issues across multiple disciplines such as cultural studies, media studies, and regional/global studies. In particular, this course will endeavor to train students to think both within and beyond the concept of a national culture and help them cope with increasingly globalizing popular culture. The content of the course covers recent South Korean political, economic, and cultural histories and the impact of economic modernization as well as South Korea’s entry into the global marketplace on the production of local cultures. It introduces students to South Korean and, by extension, global popular culture as a serious object of cultural, aesthetic, economic, and political analysis. The ultimate goal of the course is to have students understand basic (trans)national terms and conditions through which border crossing in global media has been configured. Hence the course will provide students a critical methodology for understanding a wide range of global film and media (through lectures, visual analyses, screenings, and readings) and the practical application of that methodology (through written assignments and discussion) that will lead to an ability to analyze and evaluate cultural texts. This course studies works of film and media as aesthetic objects that engage with communities identified by class, gender, race, ethnicity, and sexuality. It considers both the effects of prejudice, intolerance and discrimination on media and filmmaking practices and modes of reception that promote cultural pluralism and tolerance. It historicizes traditions of representation in film and media and analyzes works of contemporary film and media to explore the impact and evolution of these practices. Classroom discussion will be organized around course readings, screenings and publicity (interviews, trailers, etc). Assignments will supplement these discussions by providing opportunities to develop critical /analytical /evaluative dialogues and essays about cinematic representation. 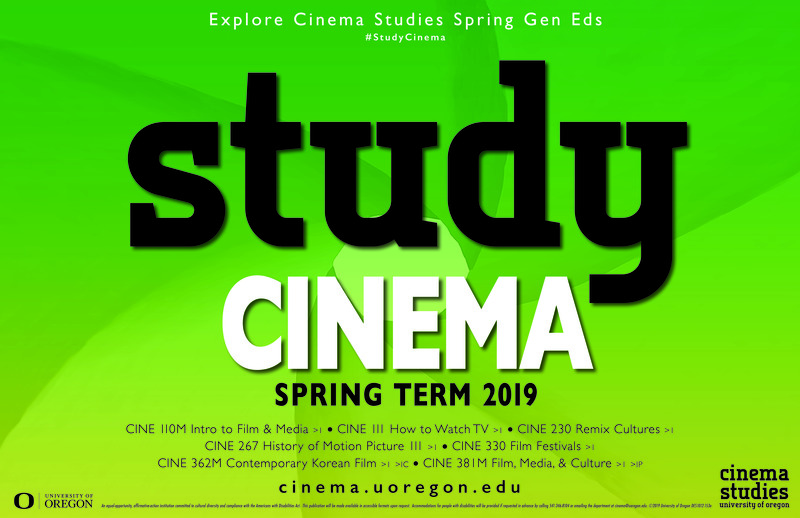 CINE 381M satisfies the Arts and Letters group requirement by actively engaging students in the ways the discipline of film and media studies has been shaped by the study of a broad range of identity categories, including gender, sexuality, race, ethnicity, and class. By requiring students to analyze and interpret cinematic representation from these perspectives, the course will promote an understanding of film as an art form that exists in relation to its various social contexts. CINE 381M also satisfies the Identity, Pluralism, and Tolerance multicultural requirement by enabling students to develop scholarly insight into the construction of collective identities in the mass media forms of film and television. It will study the effects of prejudice, intolerance and discrimination on mainstream media. Students will study the ways representational conventions, such as stereotypes, have resulted from filmmaking traditions that have excluded voices from varying social and cultural standpoints. The course will also consider filmmaking practices and modes of reception that promote cultural pluralism and tolerance. Previously taught as ENG 381; not repeatable.